Info & price guidelines about roofing services. Compare more than 75+ experts online! Carry out roof work? Request your quote here. A roofing protects your house against several weather- and natural conditions and it determines the look of your home. Here you can find an overview of the different types and the most suitable roofing materials for each roof shape. Roof tiles are still popular for roofing. They are available in concrete and in clay. Depending on your personal preference and budget, you choose one or the other. Moreover, they are available in different shapes. The shape you opt for depends on the angle of inclination and the desirable sight. The roof tile is an excellent choice if you are looking for cheap roofing materials! Discover info and prices of different types of roof tiles. 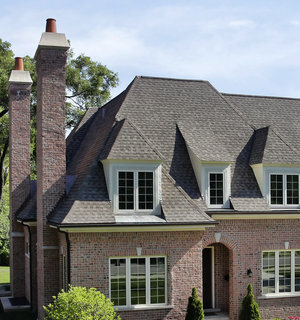 Roof shingles have been used as roofing materials for a very long time yet. Especially artificial slates have been very popular lately because of their competitive price compared to roof tiles. Natural slates are again more expensive, but they last for a lifetime and they attract less moss. The price is established according to the choice of material and the surface. Discover more about the types of slate and their prices. A thatched roofing is full of charm. It can be placed in an open or closed construction. Both types have their advantages and disadvantages. This sort of roof covering can last about 35 years. The insulation value of reed is very good, as a result of which insulating is redundant in most of the cases. 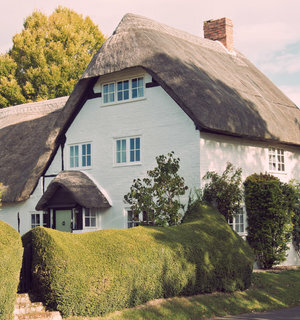 Read more about the charm of thatched roofs here. EPDM is made of rubber. This roofing material has plenty of advantages. It is maintenance-friendly, lasts a lifetime, does not crack and it is walkable throughout the whole year. It is the most expensive roofing material of the list, but at the same time one of the most qualitative as well. 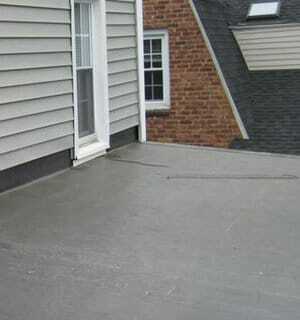 If you are looking for roofing materials for a flat roof, this is definitely the best choice. EPDM is considered to be thé successor of traditional roofing. Here you can find info and prices of EPDM roof covering. A zinc roofing is especially applied on roofs with unconventional shapes. This has to do with the fact that zinc is a very flexible material. It is perfectly fit for round or spherical roofs. Next to that, zinc roofs have a unique appearance and they last particularly long. Moreover, they can get recycled. In the past, one would only see this roofing material on old buildings, but its popularity has increased in the past few years. Read more about a zinc roofing. The pitched roof is by far the most popular roof shape. It is suitable for every building style and offers an unmistakable advantage: extra storage- or living space underneath the construction. 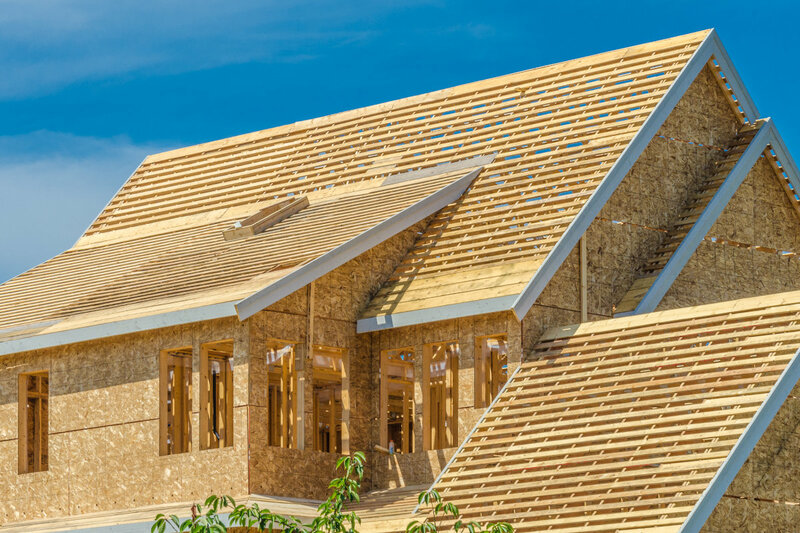 For the construction of a sloping roof, roofers start from purlins, (prefabricated) trusses or prefab roof elements. A purlin roof is further finished with rafters, an inner roof, counter battens and battens. The trussed roof still gets a roof underlay, counter battens and battens. The roof elements are a whole of interior work, vapour barrier, insulation and inner roof. 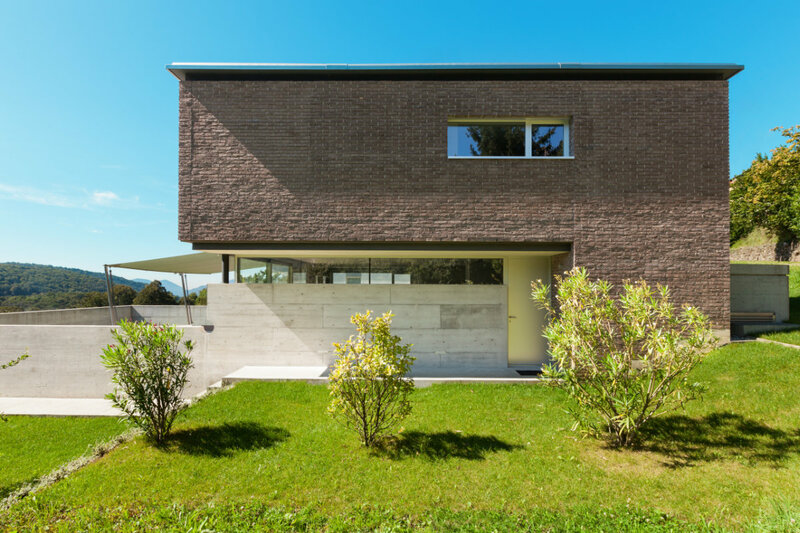 concrete tiles: cheaper than baked tiles and choice of more variations and colours. artificial slate: made out of fibre cement. zinc, aluminium or copper strips: as time goes by, a patina will be formed. This gives protection (longer lifespan) and a nice colour to the roof. reed: this used to be a cheap roofing material in the past. Nowadays, it is mostly used for bigger villas, outbuildings or prestige projects. Reed has great insulating qualities but it is more expensive than roof tiles. It is best to entrust this to specialists. polycarbonate is a transparant, alternative roofing material which is especially used on sloped or flat greenhouses, verandas and carports. Do you want to know an exact customised price for your project? Request a noncommittal quote for free via our online service. The arched or round roof seems to be quite recent, but it already appeared centuries ago in the shape of curved vaults or domes. Today, curved roofs have gotten a functional role as they offer more useable surface than sloping roofs. The flat roof is making steady progress since the waterproofing materials have become much more durable as a result of technological evolution. Moreover, this roof shape is excellently suitable for modern architecture. People are increasingly giving new interpretations to flat roofs as well: a sun terrace, a garden terrace or just a functional surface for the installation of solar panels or photovoltaic cells. Reversed flat roof: with this approach the insulation lies above the waterproof layer, so actually on top of the actual roof. Warm roof: in this case, the insulation lies under the roof sealing. This construction method is most widely used, and it gives the best results as well. The construction of a warm roof starts from the supporting floor. This may be wooden beams or a concrete supporting floor. The warm roof is always positioned in a slightly sloping way in order to ensure good rainwater drainage. Cold roof: with this type, there is a ventilated air cavity between the roof sealing and insulation. This is the oldest shape, but it is no longer used because of too much problems with condensation. The waterproofing layer mostly consists of bitumen or plastic. Bitumen: better known as roofing; the traditional roofing material. In contrast to earlier times, its quality has clearly improved because bitumen is equipped with synthetic fibres nowadays. SBS: stands for Styrene Butadiene Styreen. This is a rubbery plastic (elastomer) that is added to bitumen. Because of this, modified SBS obtains an elastic character and a bigger adhesive force. The advantage of this is that this type of waterproofing can easily pick up the functioning of the foundation (insulation, steel, wood etc.). APP: stands for Atactic PolyPropylene. This is a synthetic material with a plastic character (plastomer) that is added to bitumen. This way, APP modified bitumen offers enhanced protection against UV rays. EPDM, PVC or CPE: these have a longer lifespan than bitumen because of their insensitivity to UV rays and other weather influences. Tests have mentioned a lifetime of at least 50 years. They also have a high elasticity and they are very well protected against cracks and perforations. Moreover, there is no risk of fire as these plastics are glued or mechanically applied. Some of these waterproof layers are once again finished with a protective layer, mostly gravel. This should prevent the roofing materials from tearing in case of storms or heavy wind gusts. At the same time, this layer protects the roofing against solar UV radiation as a result of which the material’s lifespan is increased even more. 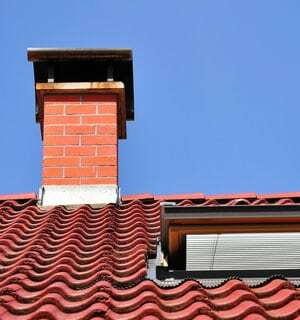 Receive prices for a new roofing? On this page, you can request a quotation from different specialised roofers. Vegetated roofs, also called ‘green roofs’, are slowly advancing. This has to do with the fact that these roofs have a few important advantages. These roofs have a longer lifespan, better thermal insulation, a nice sight and they provide a buffer for rainwater. However, the construction of a green roof is rather expensive. A green roof can vary from minimal vegetation with sedum (extensive roof garden) to a whole garden with walkable zones, terraces and paths (intensive rooftop garden).